Lesson 009 Welcome to our house! Yukichi: I’ll get it! Hi, Asuka-chan! Asuka: Hi, Yukichi. How are you? Yukichi: I’m good. Come on in! Mom, Asuka-chan is here! Mari: Hi, Asuka. Welcome to our house! Ken: Hello, Asuka. I’m Ken. Yukichi’s Dad. Asuka: Hello, Mr. Fukushima. I’m Asuka. Nice to meet you. Yukichi: Asuka-chan, look over there! Asuka: Wow, that’s the robot! He looks very cute! RoboCorpus: Hello, Asuka. My name is RoboCorpus. RoboCorpus: Corpus means a collection of a lot of texts. I can speak many different languages. Asuka: Cool! Nice to meet you, RoboCorpus! I’ll get it! Hi, Asuka-chan! Hi, Yukichi. How are you? I’m good. Come on in! Mom, Asuka-chan is here! Hi, Asuka. Welcome to our house! Hello, Asuka. I’m Ken. Yukichi’s Dad. Hello, Mr. Fukushima. I’m Asuka. Nice to meet you. Wow, that’s the robot! He looks very cute! Hello, Asuka. My name is RoboCorpus. Corpus means a collection of a lot of texts. I can speak many different languages. Cool! Nice to meet you, RoboCorpus! What does Asuka think of RoboCorpus? She thinks he is cute. Look at the girl over there! 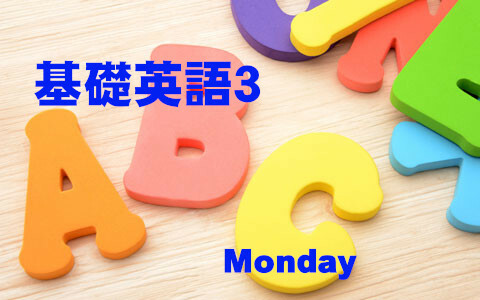 -基礎英語３, Lesson 009, Welcome to our house!